This is a sad day for the basketball community. Today Manute Bol passed away. 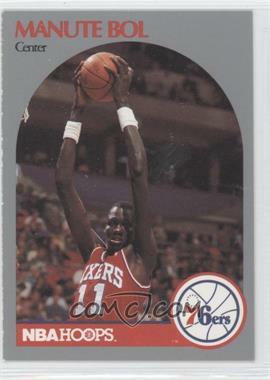 Some of my earliest basketball memories were of Manute Bol. I remember going to a Golden State Warriors game with my older brother back in the 1989-90 season. They were in town playing the Timberwolves at the Metrodome. The basketball court was set up where the baseball infield normally was. The game wasn’t too crowded, so my brother snuck me down to sit nearly court-side. I am not sure if the adrenaline was from sitting in seats the didn’t match our ticket stubs or if it was simply the first time I had ever gotten so close to any NBA players, but I remember being very intent and excited. I was only 11 years old at the time, and I couldn’t believe how tall Manute was (7′ 7″). I particularity remember being amazed at how easily Manute shot 3-pointers during warm-ups. He didn’t even need to jump. It was just like a flick of his wrist… or that was what I remembered as a little boy. Being a Sixers season tix holder since 1991 and a Manute Bol fan this trulely saddens me. 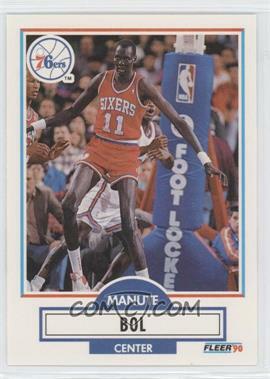 Manute put nearly all of his salary back to the poorest people of Africa. He should be a role model to all. Esp. the people that made it in the NBA and and have the resources to put the money back in the community that they grew up in and needit it! KANSAS CITY, Mo. (AP)—Manute Bol, a lithe 7-foot-7 shot-blocker from Sudan who spent 10 seasons in the NBA and was dedicated to humanitarian work in Africa, died Saturday. He was 47. 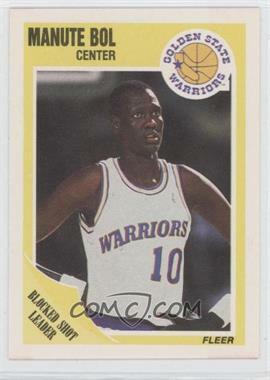 Manute Bol’s father was a Tribal Chiefs who was married to 30 women and fathered 80 children!